Update: A Federal District Court Judge ordered ICE to release Ravi while he awaits a final decision on his case. A federal court issued both a temporary stay of removal and a temporary order preventing Ravi from being sent away from his family and counsel in New York. A hearing has been scheduled for late January to "consider whether the actions of ICE are lawful." His lawyers are working to get him back to New York. Ravi's supporters will hold a protest rally at noon on Monday, January 15th in Washington Square Park. A press conference will follow the action at 1pm. 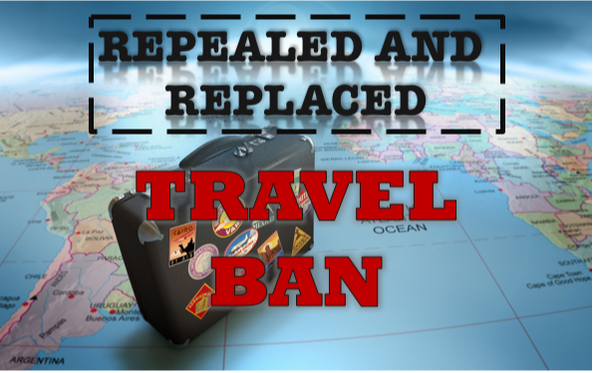 On September 24, 2017, President Trump announced new changes to the travel ban. Our volunteer lawyer Angela Torregoza was kind enough to create and share with us a guide to how these changes affect refugees.